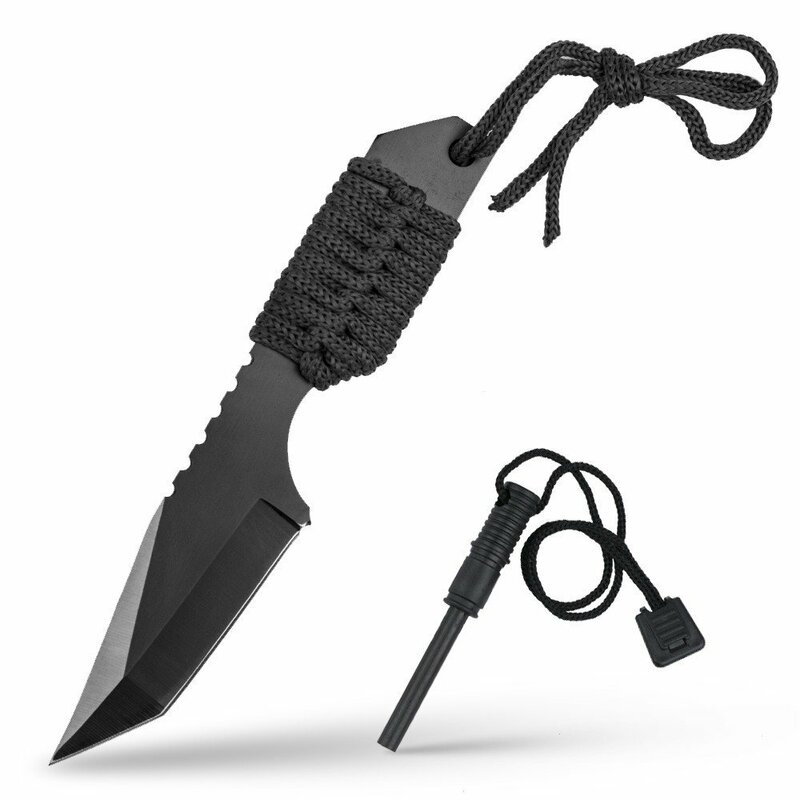 This LIVABIT Tanto Fixed Blade Outdoor Paracord Knife features a black tanto blade and a paracord-wrapped handle, with a 7-inch overall length. Ideal for camping expeditions and survival training, this Survivor full tang knife features a 3-inch, 4mm black stainless steel tanto blade. The cord wrapped handle gives you superior grip in even the wettest of conditions, while also providing easily unwrapped cordage when needed in a pinch. The included magnesium alloy fire starter enables you to effortlessly start a fire in no time. This knife comes complete with a nylon sheath for easy and safe carry. Geared toward outdoor activity, Survivor offers a wide variety of classic survival knives and rugged fixed blade knives. - Use it as a spearhead, make tent pegs with it, split kindling, cut small branches, rope, tubing. - Small enough, flat enough to stow anywhere. - Perfect for your Bug Out Bag. Toss one in your glove compartment, drop it in your backpack. - A great boot knife for camping or fishing. - Versatile tool you don't have to baby. No guilt, no regrets.